Today at Nintendo’s 74th annual shareholder’s meeting in Japan, it was decided that Satoru Iwata would be re-elected. It was speculated whether or not Iwata would actually keep his position as president considering his physical condition and recent poor marketing strategies, but it looks like he’ll still be taking charge. Iwata’s shareholder popularity dropped from 92.9 percent in 2011 to 77.3 in 2013. This was due to the Wii U’s poor financial performance. Although it seems Iwata is hanging on by a thread at the moment, the Wii U has high chances of making a pretty good comeback. Mario Kart 8 has just been confirmed to have sold 2 million units in less than a month, they made quite an impression this year at E3, and the new Super Smash Bros. is just around the corner. Not to mention, they’ll have new Star Fox and Zelda titles releasing on the console, so things are looking a bit brighter for Nintendo. Hopefully next generation, they’ll be able to start with a bang. 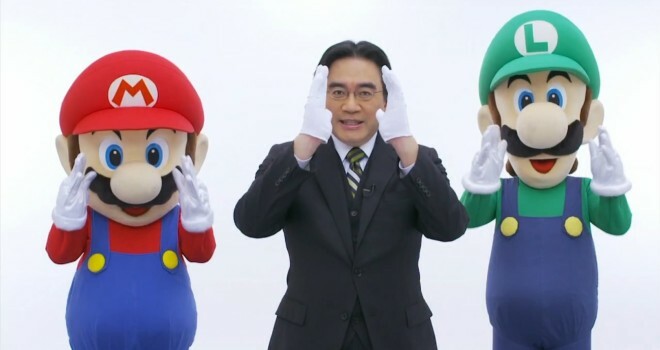 What do you think of the decision to re-elect Iwata?